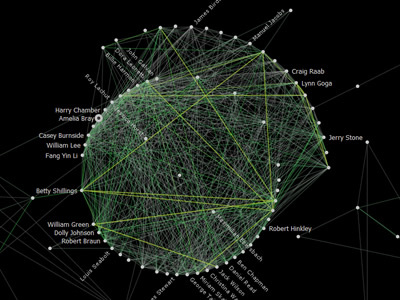 Nexus is a friend grapher for Facebook built on Graphviz twopi and neato. It calculates friend similarity by parsing profiles (through the Facebook API), and highlights links between friends who share interests and groups. 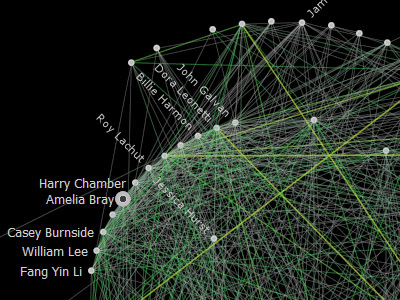 While the generated image is static, browsing the connections is dynamic: clicking a friend node shows who they are friends with, as well as all commonalities with mutual friends. hey where is source code ? I would like to see one for system capability, reqmt's, parts/software required, languages, etc. showing, for example, the similar capability between an Apple product and a MS product. Just to see...and where we go from there!